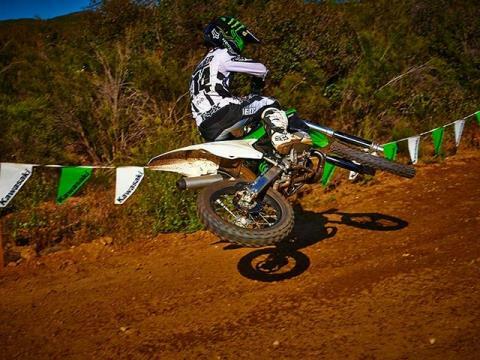 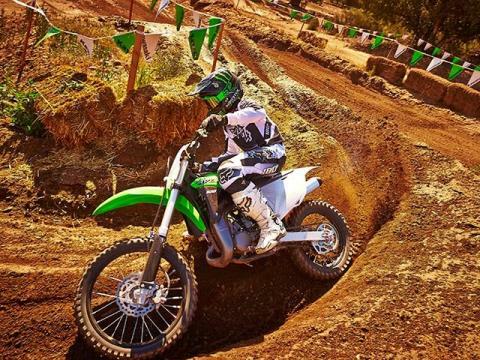 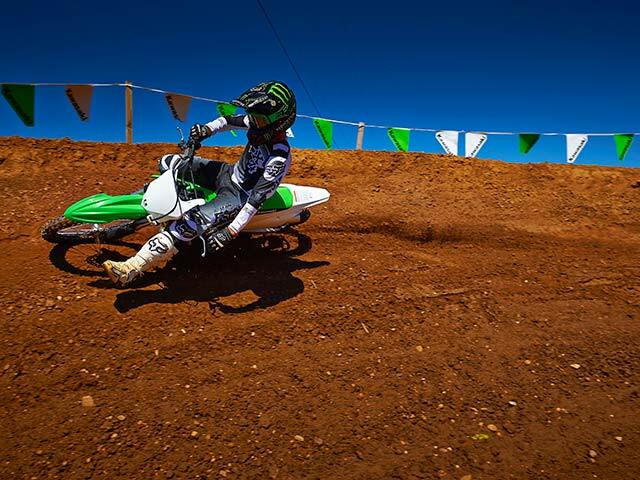 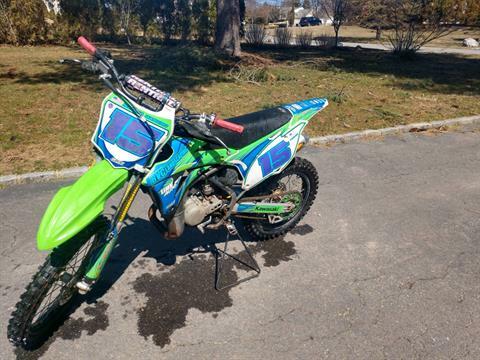 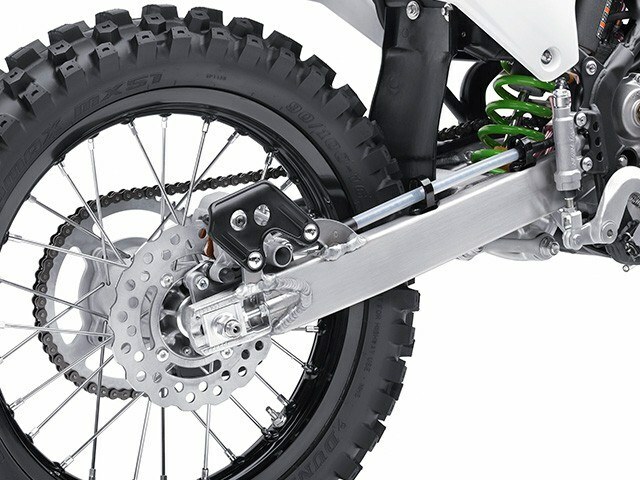 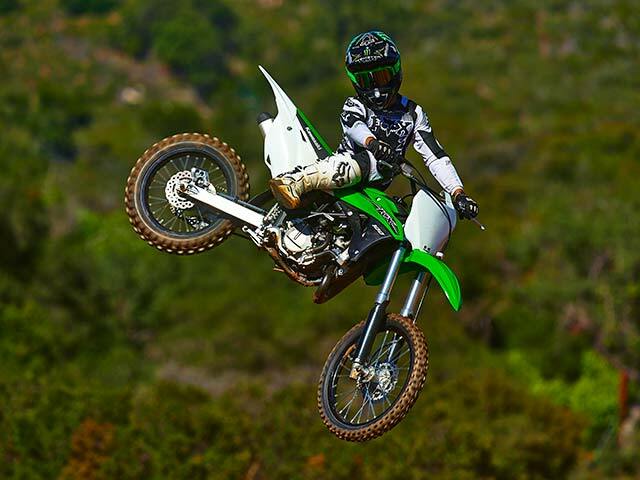 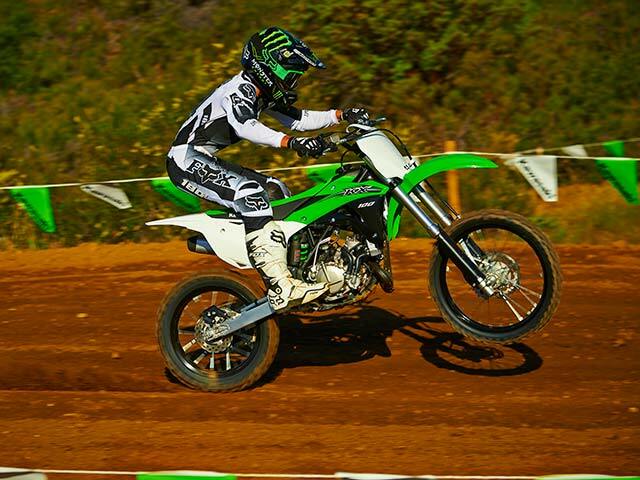 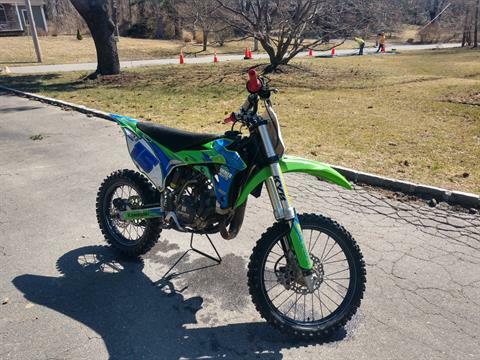 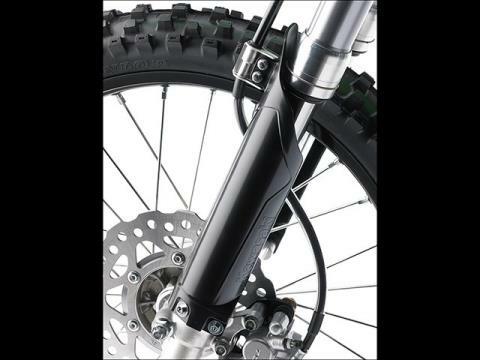 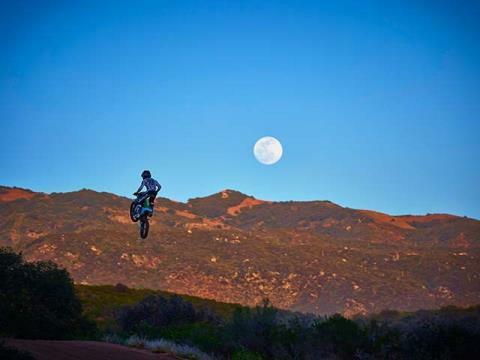 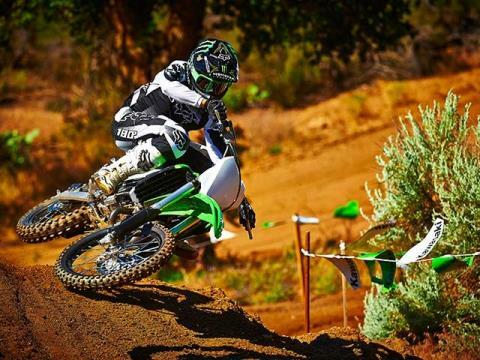 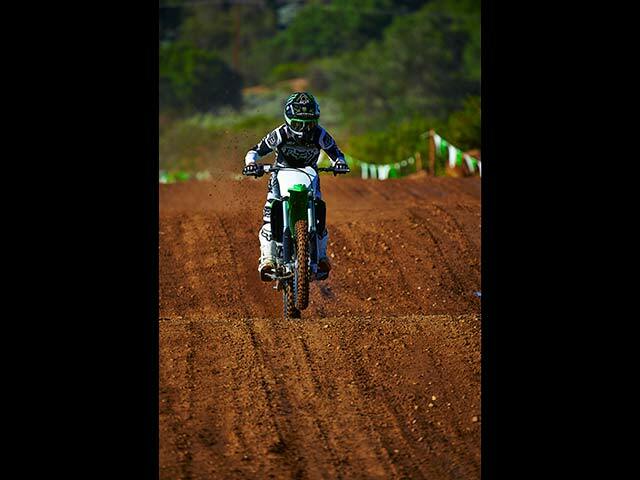 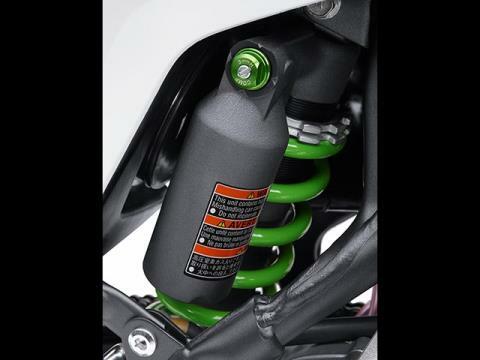 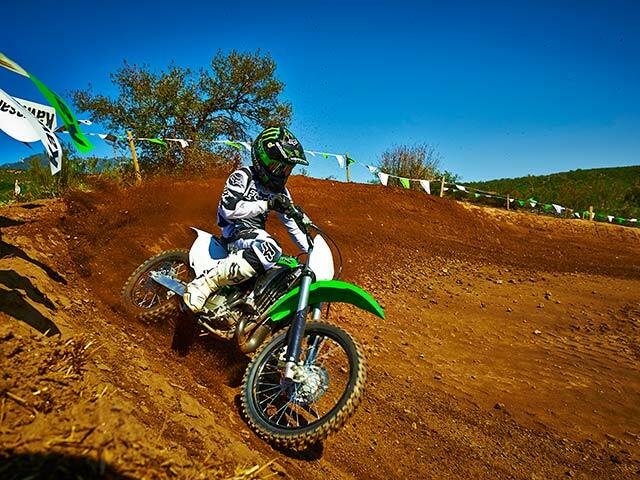 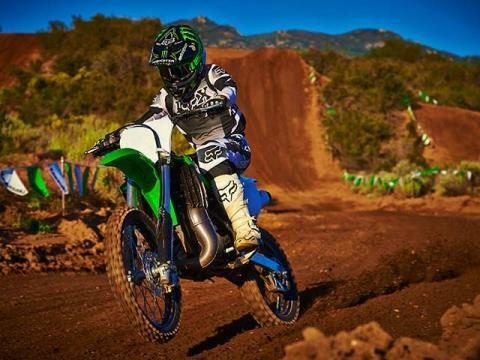 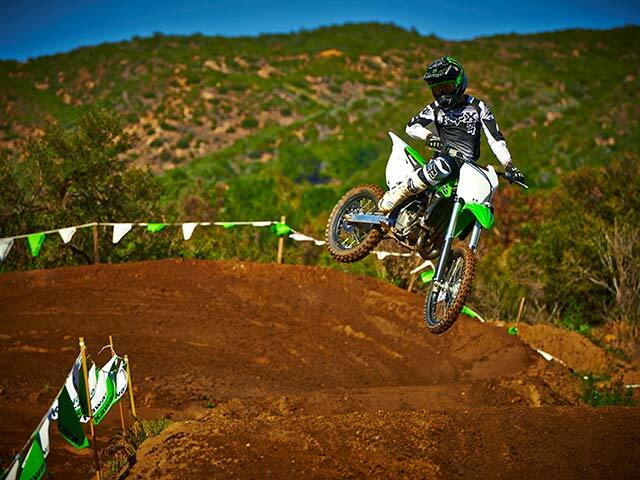 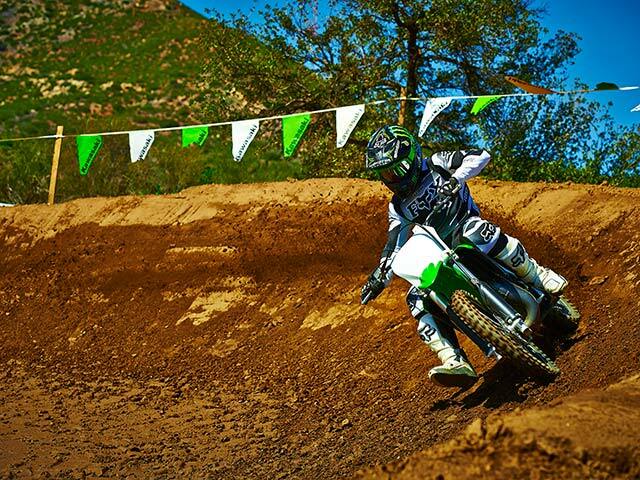 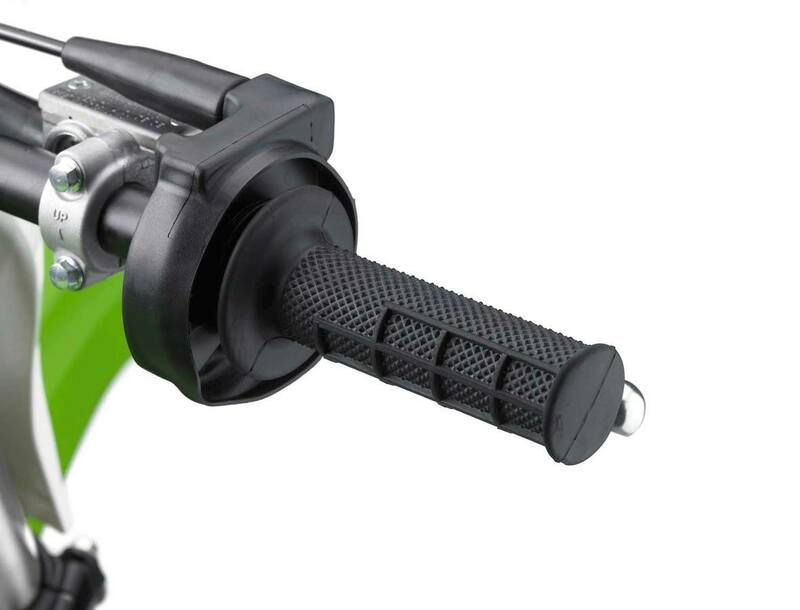 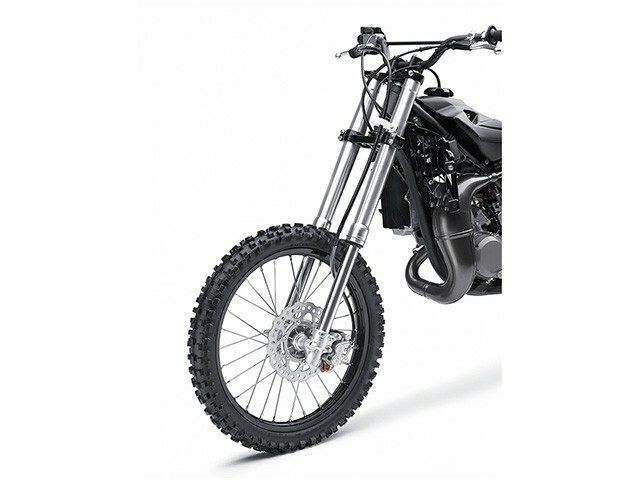 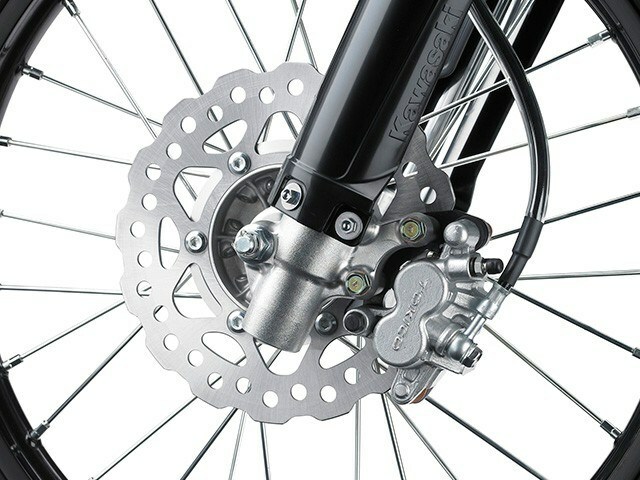 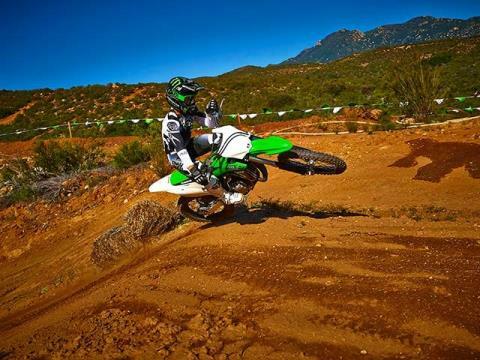 KX™100 helps riders prepare for the big time! 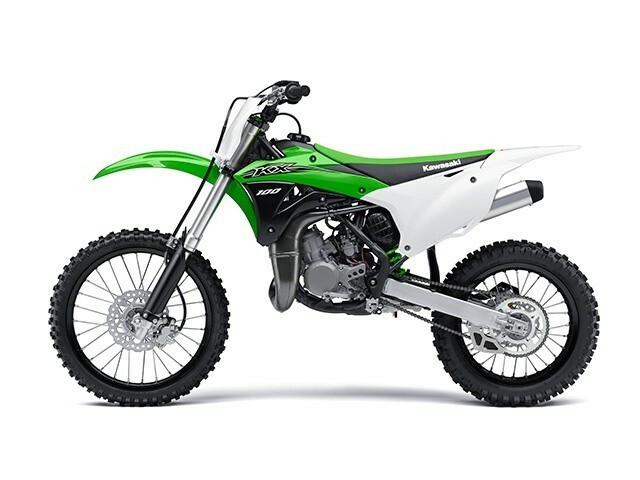 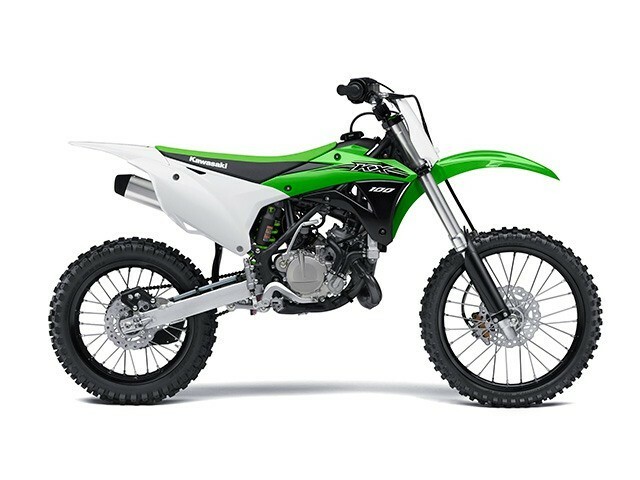 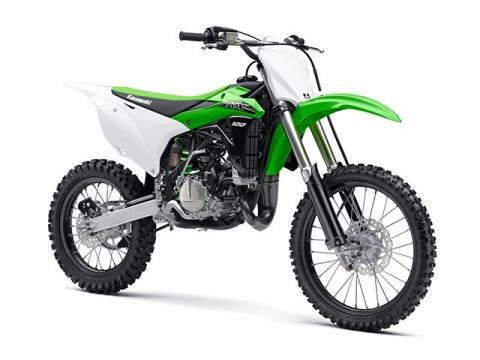 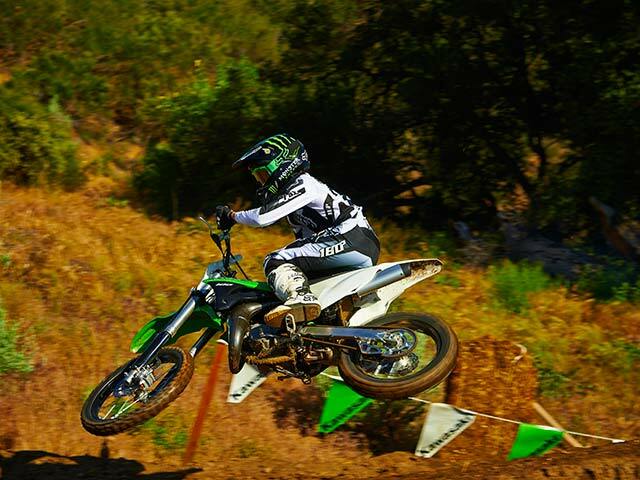 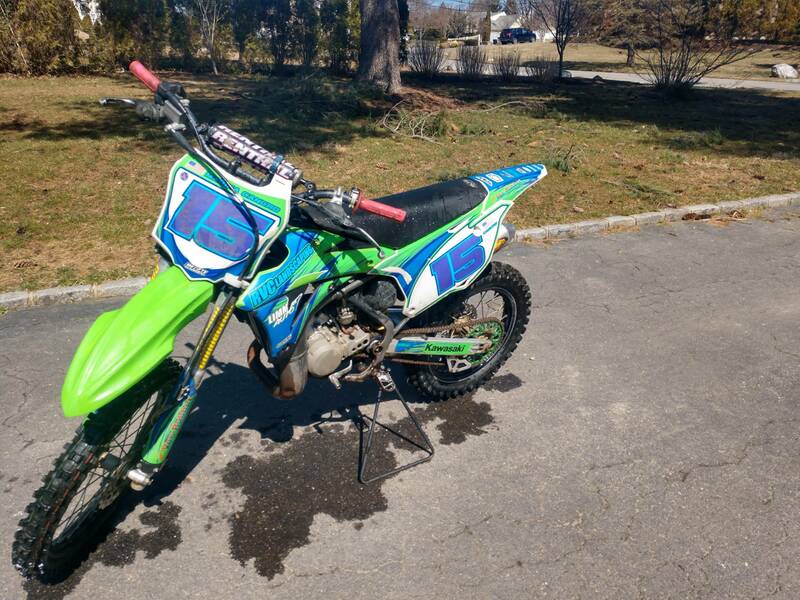 The Kawasaki KX™100 represents a natural step in the progression of any budding young motocross rider who is on the verge of outgrowing the KX™85, but maybe still needs to grow a few inches, gain a few pounds or simply get a little more seat time before jumping aboard a full-sized KX™250F. 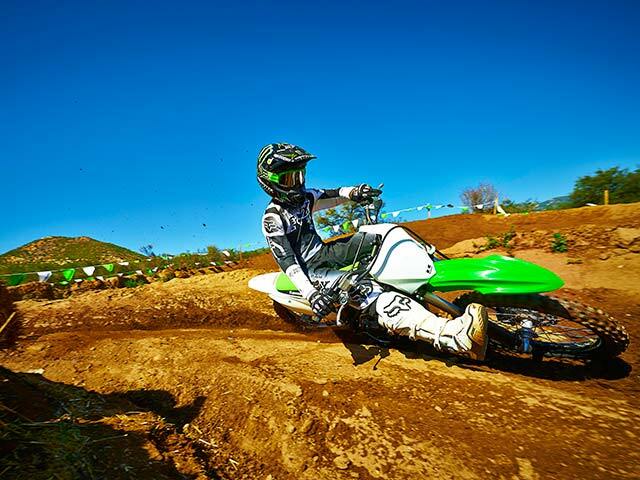 The new KX™100 offers the perfect blend of a power and a larger chassis for an ideal learning curve en route to the big bikes.